Police received a report of a fire at a property on High Street in Easington Lane at around 2.40am. A man's fighting for his life in hospital after being attacked outside a church in Sunderland. 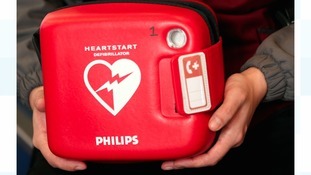 Investigations are underway after a life saving defibrillator was damaged at a fast food restaurant in Sunderland. Two team members were involved in rescuing the dog from the sinkhole. It's believed there was water in the hole and the dog was at risk of drowning. We do not know how big the sinkhole is at this stage. Police are appealing for information after a man exposed himself to a 19-year-old woman in Sunderland. It happened at 9.20am in the morning on Sunday 12, February in Mowbray Park. The man is described as white, thin build with a dirty haggard appearance, wearing jeans and a long navy/black padded jacket and blue/black hat with a white stripe along the front. Police are appealing for information after a woman was attacked and sexually assaulted in Sunderland. It happened around 8pm on Wednesday, January 18, in the Redhouse area of the city. A woman was attacked by a man in the area of Rishton Square and Rhodesia Road near to the grassed playing fields. Officers are carrying out enquiries to establish what happened and locate the offender. Police are carrying out house to house enquiries and viewing CCTV. Extra officers are on patrol around Redhouse to offer reassurance to local residents and answer concerns. Detective Inspector John Miller said: "We know this was an incredibly distressing incident for the woman and we have a specially trained officer speaking with her to offer her support and help us build a picture of what happened. "We recognise local residents will be concerned and will have police and police community support officers on patrol to offer reassurance and answer any concerns." The striking white pylon left the Port of Sunderland at around 5am on Thursday, arriving some two hours later on a barge. The centrepiece of Sunderland's new bridge has arrived in the city. The A-frame pylon, which will stand 105 metres above the River Wear, twice the height of the Tyne Bridge, left Ghent in Belgium on Thursday 5th January. It docked in the Port of Sunderland at around 1.30pm on Saturday 7th January. As the pylon approached Wearside, it was met by harbour tug boats from the North East about a mile off the port entrance. It was then brought in through the curved arms of the Roker and New South piers, before berthing at Greenwells Quay. It will be seen for miles around and it will be a landmark, definitely to begin with, but I think iconic is how it builds for the future and clearly some of the bigger part of the bridge is the fact that it will have such a massive impact on the economy of the city, help the region and certainly have a social impact as well. Seeing the thing erected and being built will give a soul back to the city. The pylon will be the centerpiece of the new wear crossing - a four lane two way 330m bridge on track to end open next spring. The whole operation, right up to erection of the pylon in the coming months, is a complex engineering feat. The last time we saw something like this in the UK is when the London Eye was lifted into position. The London Eye was moved up along the River Thames adjacent to where it was going to be and was then lifted into place through a sort of cantilever system. We'll be doing something very similar. It's not been done that often and it will be very exciting and I'm sure when we do that, there will be lots of people there to see it again. The bridge deck is being assembled on the riverbank in Sunderland. The giant tusk-like structures that have been built into the riverbed will be secured to the pylon to hold it in place. Credit: Sunderland City Council. The boss of Nissan, Carlos Ghosn, is holding talks in Downing Street with the Prime Minister Theresa May over the vexed subject of Nissan's future on Wearside post-Brexit. The company has warned that future investments in the UK were under threat unless the company was compensated by the UK government for any tariffs they might have to pay for exporting cars to EU countries after Britain leaves the European single market. We can confirm that Nissan CEO Carlos Ghosn will be meeting with the UK Prime Minister Theresa May at Downing Street on the afternoon of Friday 14th October. At the meeting, Mr Ghosn, Mrs May and their teams will discuss the current situation relating to Britain’s proposed exit of the European Union. The purpose of this meeting between Mr Ghosn and Mrs May is to ensure both Nissan and the UK Government have an aligned way forward that meets the needs of both the company and the country. We do not expect any specific agreement to be communicated following this initial introductory meeting of the CEO and the Prime Minister.